When Western people think about Japanese aesthetics, they will often think either about elaborate and colourful designs like kimono fabrics, or they will think of the rustic and minimalist aesthetics of tatami mats and shōji doors. I was therefore very surprised to discover the Japanese love for blue and white fabrics and pottery. The designs often include simple geometric forms. I love how the blue and white designs are simple yet elegant. This subtle sense of beauty, and the fact that it is present in so many aspects of daily life in Japan, is one of the things that I love so much about this country. Blue and white Japanese fabrics. 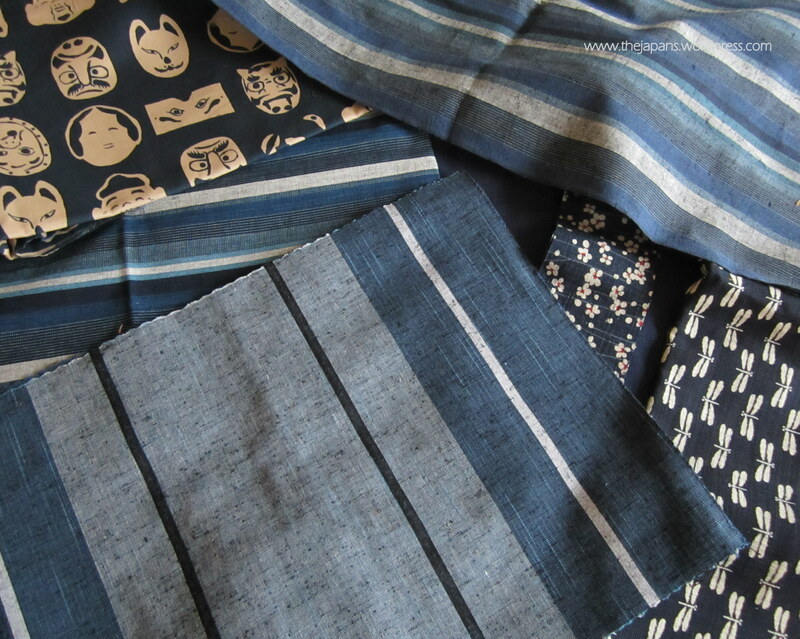 The indigo colour of these fabrics, which is sometimes referred to as ‘Japanese blue’, is called ‘ai’ in Japanese. It is produced from the plant ‘dyer’s knotweed’ and the dye has a distinctive sulfur like odor. 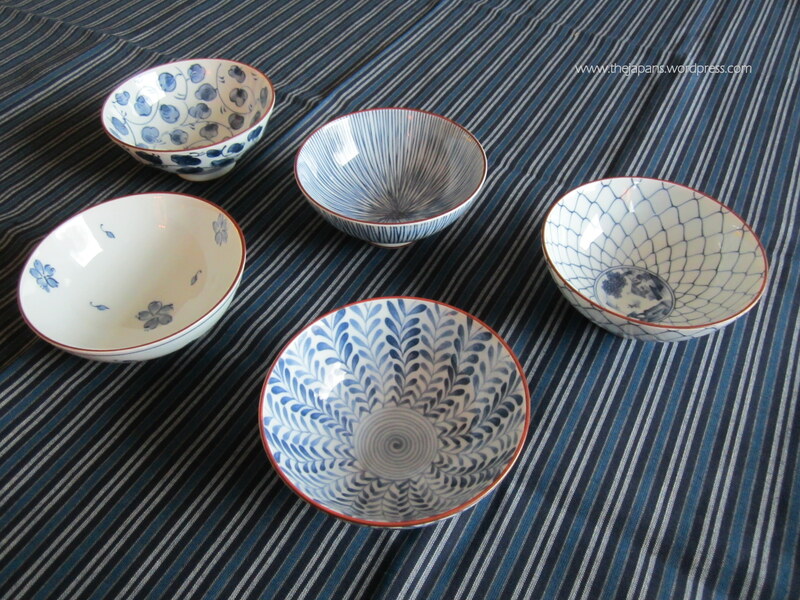 This entry was posted in Japan and tagged Aesthetics, Blue and white, Ceramics, Design, Fabrics, Impressions of daily life, Japanese aesthetics, Japanese culture, Pottery by Haruko-chan. Bookmark the permalink. You have been nominated for the One Lovely Blog Award and Best Moment Award. Congratulations! Thank you so much Robert! I feel honoured! Hello Haruko-chan, I followed the link from your like of my blog, Rambling With Kundan. Your blog has a very nice feel to it. A pleasure to read. Hi Kundan, thank you for visiting my blog and leaving a comment. I’m so glad you like it! ^_^ Good luck with your wanderings! I posted a photo of my passports (I just renewed and the old one is navy [I much prefer this color but good for five years only] and the new one red [good for 10]) on my facebook page and a Swedish friend said something about Japanese aesthetics. Your post reminded me of that. I understand about buying kitchenware, I’m the same. It’s a good thing that I only lived in Japan for one year, or the amount of kitchenware would have gotten completely out of control. I only noticed after a very careful look after my Swedish friend’s comment that our passports were, in fact, quite nice. We never see this ourselves and I like your observation (yet again)! I never knew that. I appreciate the info. Thank you so much for your kind words and for nominating me for the award. I feel honoured! I have to admit that so far I haven’t done any award posts. Somehow I feel a bit hesitant to shift the focus of posts from Japan to myself. But of course that doesn’t mean I don’t feel honoured to be nominated. Thank you again! Your kind words inspire me to continue to do my best, and I also look forward to keep following your honest and funny blog in the future.